Triple Layered PVC Wiring Cables with HFT Technology, manufactured in conformity with ISI standards at an ISO 9001, ISO 14001 & OHSAS 18001 certified manufacturing plant, Plaza wires ensure triple protection for every home. The high quality online annealing prevents breaking of the copper strands when bent or twisted, making Plaza wires protect homes like nothing else. 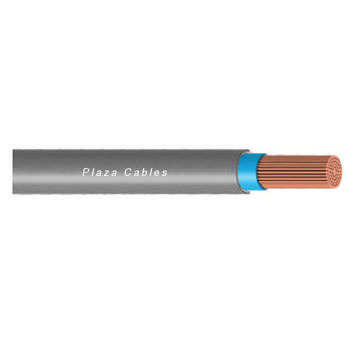 Flame Resistant and Heat retardant Cables With a suitable to bear temperature up to 85 degree Celsius along with flame retardant and heat resistant properties, Plaza cables offer better insulation and are capable of carrying higher current and ensure better electrical and mechanical performance at higher temperature. House wiring Cables for Internal electrification and power Supply to all electrical operated equipment, ideal for high density wiring (e.g. Fans/Lights/ Appliances etc. ).